This looks like a strange one. It casts you as a woman (I know) from an Islamic majority country (I know!) who is on a quest for revenge against an opposing military force. She also has a giant mech. 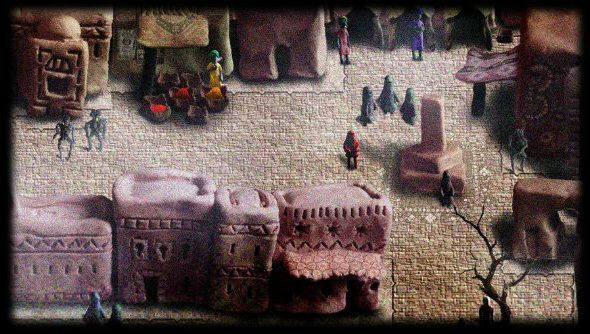 Perhaps Dujanah will find its way onto our list of the best indie games on PC. Rocking a clay model aesthetic, Dujanah asks you to delve into “various moral, psychological and political dilemmas”, and the perspective this story is being told from opens that up to tackle all sorts of interesting subjects, like the ethics of military intervention. Did I mention she has a mech? “Dujanah will employ a number of innovations that make the narrative unique and subversive,” says the Kickstarter story synopsis. “Stories in the game will have various randomised elements for players, encouraging conversation outside of the game. The story will also change depending on decisions made by the player allowing for different final outcomes. There are also a bunch of minigames that will be playable in an in-game arcade, including a riff on the Metroid formula. The Kickstarter has just over £4,000 to go before it reaches its £6,000 goal. There are 26 days to go, and you can back it over here.